Our bullpen area has the capability of 3 pitchers warming up at the same time. 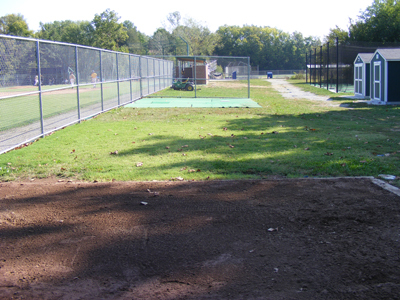 Our catchers area is an oversized concrete pad covered with 3/4 inch astroturf. 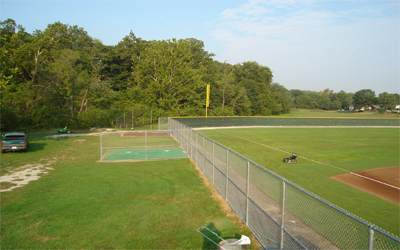 This allows an area for catching drills and pitcher's conditioning work.